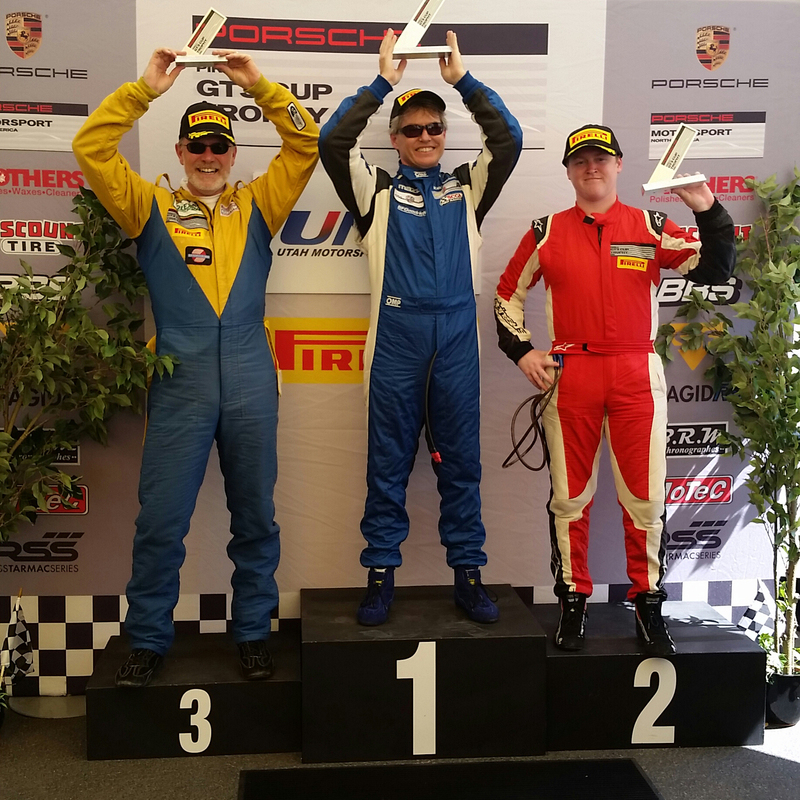 Tooele, Utah (14 August 2016) – Dino Crescentini secured a sweep of the weekend’s two races with his fifth Pirelli GT3 Cup Trophy USA victory of the season Sunday in hot and sunny conditions at Utah Motorsports Campus. The 45-minute, 24-lap, caution-free contest was the second of the double-header race weekend, part of the big Pirelli race weekend at UMC which included the World Challenge event. Temperatures peaked at 95 degrees F at the 2:45 PM MDT race start. Crescentini took his No. 34 Crescentini Racing Porsche 911 into the lead going into Turn 1, getting ahead of pole sitter and championship leader Robert Todd driving the No. 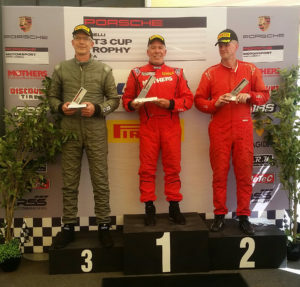 52 BR Racing Porsche. 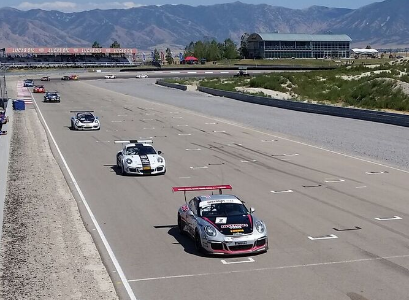 He extended his lead throughout the race, finishing ahead of Todd and Competition Motorsports’ Michael Zuiebeck. Air Power Racing’s Desire Wilson, in her final competitive event, finished fifth. Platinum Class championship leader Tom Haacker, driving the No. 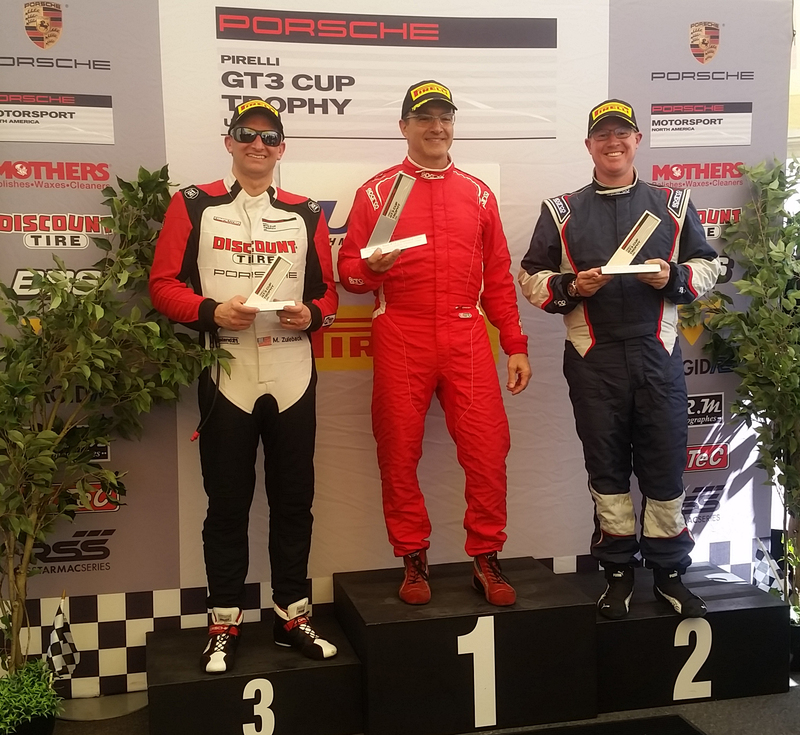 45 Mothers Porsche GT3, scored a relatively uncontested ninth victory of the season. 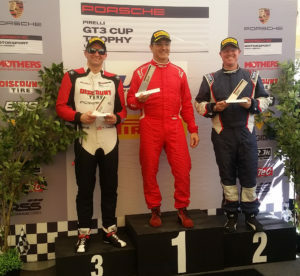 Robert Rodriguez scored his third Platinum Masters victory of the season behind the wheel of the No. 69 Werks2/P7 Racing Porsche, in a close contest with Truspeed Autosport teammates Larry Schur and Grainger-sponsored Jim Slavik. 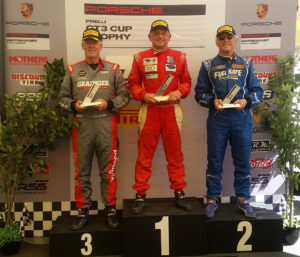 The Silver class, comprised of Porsche Cayman Clubsport GT4 Cup cars, enjoyed a vigorous scrap throughout the race, with pole sitter, BR Racing’s Kevin Woods, battling Keith Jensen in the Nolasport-prepared No. 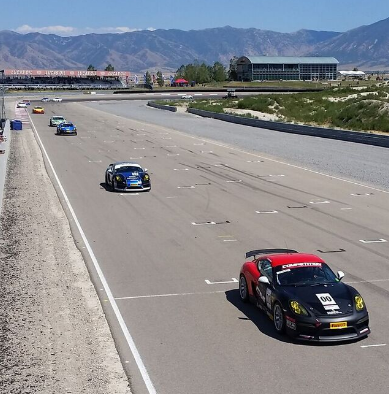 51 Porsche Cayman, who got around Competition Motorsports’ Sean McAlister early in the race. The three cars spent 18 laps nose to tail, until Woods’ No. 94 Santa Cruz-liveried Cayman was felled by a flat left rear tire. Jensen brought his No. 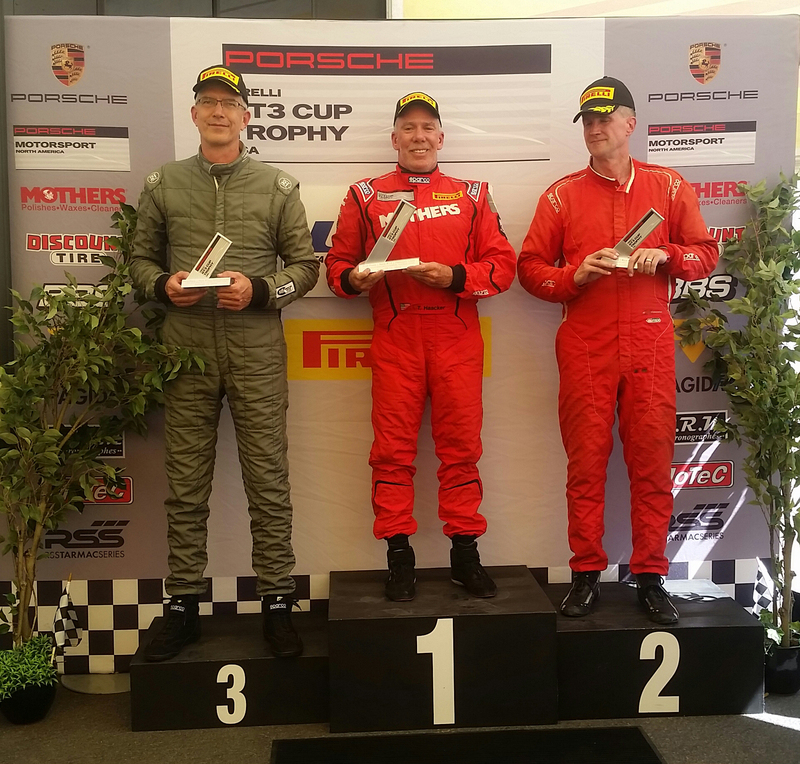 51 Porsche Cayman home in first ahead of McAlister and Competition Motorsport’s Carl Tofflemire. 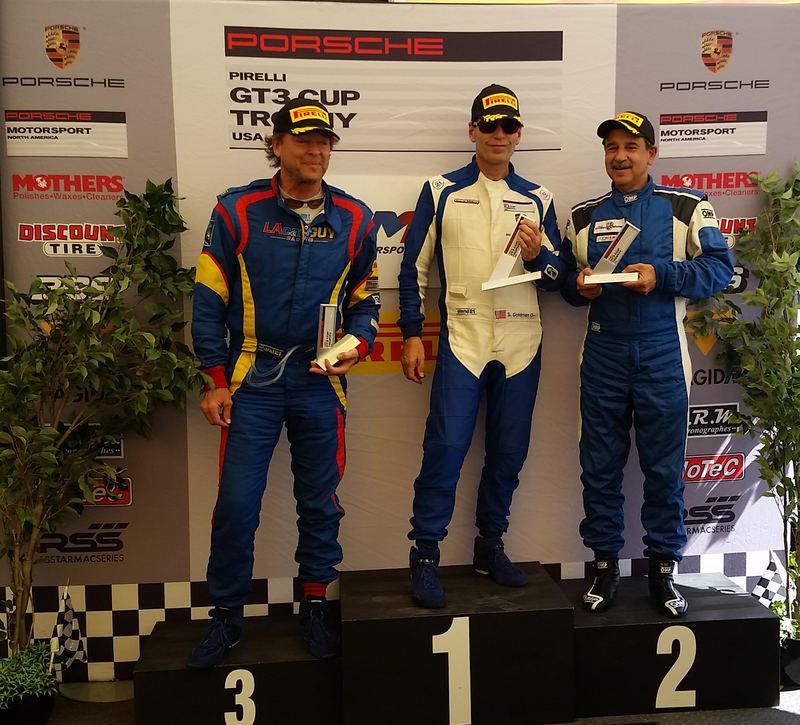 Competition Motorsports’ Steve Goldman led the Silver Masters class wire-to-wire for his ninth victory of the season in the No. 1 Porsche Cayman ClubSport GT4. Pirelli GT3 Trophy USA President Greg Franz was pleased with the weekend’s races at UMC and confirmed the series’ interest in conducting additional events at the Salt Lake City-area track. The penultimate race weekend of the 2016 Pirelli GT3 Cup Trophy USA championship takes place September 9 – 11 at Sonoma Raceway, with the finale two weeks later at Circuit of the Americas in Austin, Texas. This entry was posted in News on August 14, 2016 by admin.